The flat numbers would seem to indicate CSX is coming to the end of the cuts in capital spending that tend to accompany the rollout of precision scheduled railroading (PSR). 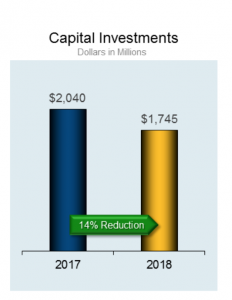 Last year the railroad forecast $1.6 billion in capex — a shocking drop of $400 million, or roughly 22 percent, from the $2 billion in prior year. And back in 2016, before the late E. Hunter Harrison, the godfather of PSR, took over as CEO of the railroad, CSX set aside $2.7 billion in Capex. But final numbers for 2018 indicate CSX actually spent $1.7 billion in capex: slightly more than the railroad had anticipated. The capital spending forecast is in keeping with what vendors, contractors and others heard at the recent NRC Conference and REMSA Exhibition on Marco Island earlier this month. Tod Echler, assistant vice president, engineering, CSX, told attendees that capital expenditures in 2019 would likely be “about the same” as in 2018. The news on spending came as CSX announced fourth quarter 2018 net earnings of $843 million, or $1.01 per share, versus $4,140 million, or $4.62 per share on a GAAP basis ($0.64 on an adjusted basis) in the same period last year. That’s some 2 cent a share better than what analysts expected. Of particular note is that the railroad said its full year 2018 operating ratio had dropped to 60.3%, a U.S. Class I railroad record. 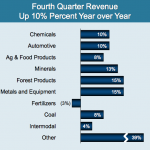 Revenue in Q4 rose 10 percent year-over-year. Revenue for the year rose 7 percent from a year earlier. 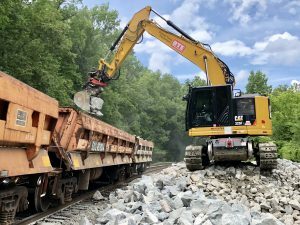 Other work expected to be covered in CSX 2019 capital expenditure plan are a series of capacity expansion projects, including the Lineville double-track extension, which includes more than 6 miles of track and two bridges; the Wildwood double-track extension (2 miles); and the Stouts siding expansion. 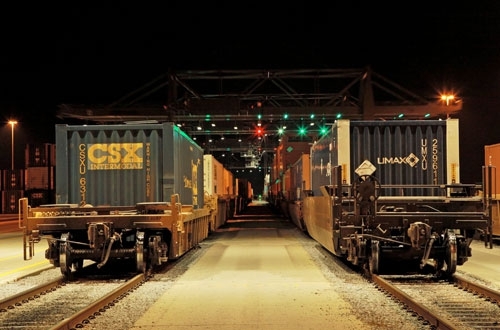 The railroad is also building a new intermodal yard in Rocky Mount, NC. Design and permitting work has already begun on the $100 million project, which calls for 16,000 feet of new track. 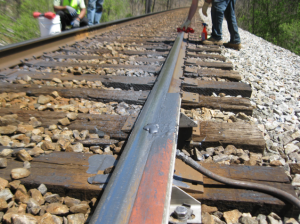 There are numerous trackwork projects planned for the year across CSX’ intermodal facilities. Ties, surfacing and grade-crossing renewals are scheduled for Chicago-Bedford Park, Columbus, and Kearny, NJ. Turnouts, ties and surfacing work is planned in both Jacksonville, FL, and Portsmouth, VA. 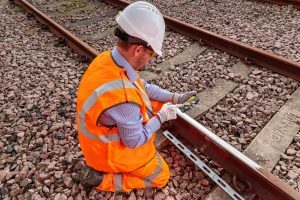 The Savannah Support Yard will see turnouts, rail relay, ties and surfacing work. 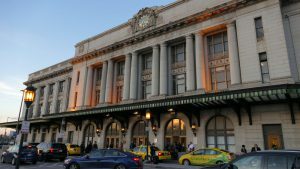 Work will continue on the long-running 25th Street Viaduct in Philadelphia. This year should see the start of the final phase — resurfacing the spalled concrete on the viaduct to restore the appearance of the bridge. The debris shield will be permanently removed during this phase. The new Capex plans follow a productive 2018 for CSX. Double track and bridge work was completed in the Rebecca, GA; the hump in Birmingham was removed; the departure track at the Atlanta Tilford hump yard was removed; the Virginia Avenue Tunnel in Washington, D.C., was finished, and the railroad got rid of the puzzle switches in Chattanooga because of the rollout of positive train control (PTC.) “It runs a lot better now,” Echler said. The railroad also had to cut tens of thousands of trees that fell on or near tracks during Hurricane Michael. 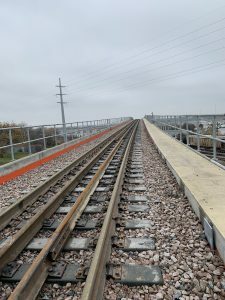 Editor’s Note: Look for more coverage of capital spending by railroads and transit systems on this Website during the next few days and in the February issue of Railway Track and Structures.